this is a picture of Philip Leu and Paul Booth. 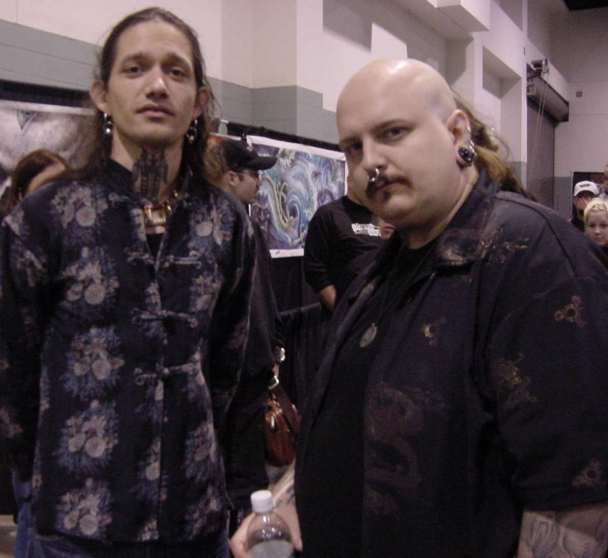 These guys are 2 of the most famous tattoo artists in the world. Leu (left) for: high detail and large pieces.